Think “island vacation,” and Sri Lanka might not be the first destination that pops into your head. Yoga Sri Lanka may not be in your lexicon either, but if that’s the case, time to put this stunning nation on your radar — Sri Lanka offers a wealth of natural and historical attractions that’ll spark a sense of wonder in the most seasoned traveler. Across towns and cities you’ll encounter the fascinating intersection of Buddhist and colonial British influences and in the wild you’ll be immersed in one of the most biodiverse ecosystems in the world. 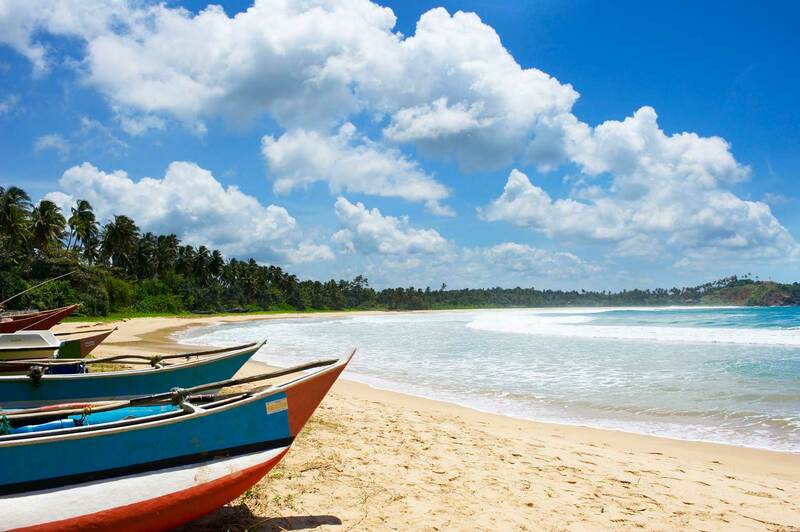 Here are a few recommendations to start you dreaming about Sri Lanka travel. Sigiriya’s history goes way back - historians have turned up evidence of human habitation that’s over 5,000 years old. Buddhist monks left their stamp on the place as early as third century BCE, and seven centuries later it became a palace. 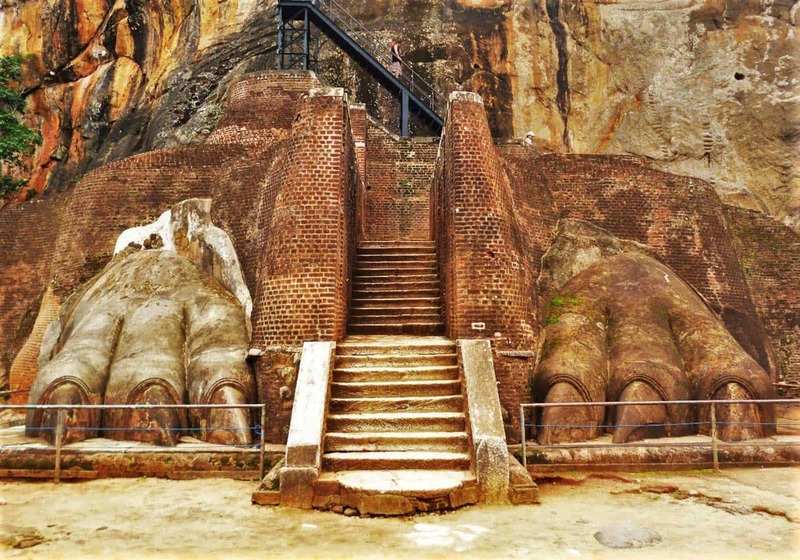 King Kashyapa’s royal renovations included a gateway built in the shape of a gigantic lion, from which Sigiriya takes its name. Visitors today still pass between its paws. It’s not hard to see why ascetics and royalty alike would be drawn to the place. Towering 650 feet above the surrounding jungle, the massive rock column now stands as a harmonious blend of natural and human splendor. Expect breathtaking views, frescos, gardens, and feats of ancient engineering. Sigiriya is classified as a UNESCO World Heritage Site, often described as one of the best-preserved examples of ancient urban planning. With a history like that it’s no surprise it’s one of the premier sites in Sri Lanka, so we arrive early and beat the crowds (smart). Sri Lankan culture and history thrive at the Golden Temple of Dambulla, another not-to-be-missed destination and UNESCO World Heritage Site. It too was occupied by monastics in first century BCE, and its extensive cavern complex remains the best-preserved temple of its kind in the country. 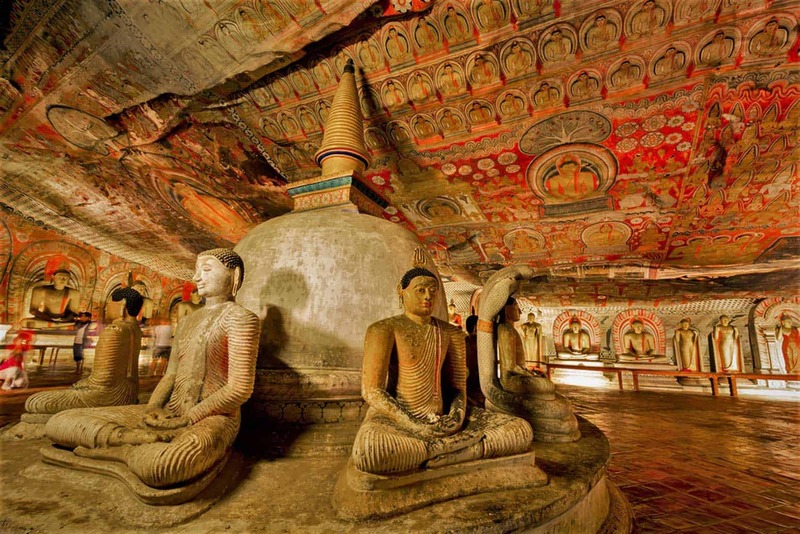 Dazzling patterns and Buddhist iconography decorate the ceilings of the caves, the largest of which rises twenty-three feet high. You’ll find exquisite statues of gods and goddesses, kings, and the Buddha, expressing religious history in visual language. Dusk brings thousands of swallows swooping into the caves, a display of natural majesty that must be seen to be believed. Less visited than Yala National Park, Gal Oya is a true natural gem. Here you’ll discover why Sri Lanka nature claims the highest biodiversity density in Asia - elephants, water buffalo, crocodiles, leopards, and toque monkeys make their home here, along with dozens of species of exotic bird. Monkey Mountain provides an ideal vantage point over the area, is one of our early morning treks and a brilliant way to say good morning to Mother Nature. If you’re ready for an urban experience after trekking through forests, the capital city of Colombo won't disappoint. This is an excellent place to seek out the best of Sri Lankan cuisine, amble through bustling markets and admire the stately Dutch and British colonial architecture. With a little help from our local guide you’ll learn the history of Colombo's neighborhoods such as Victorian-era Slave Island, maybe spot a snake charmer in Viharamahadevi Park and have lunch in Sri Lanka's modern architectural gem, the Gallery Café. If you appreciate the value of fresh, local ingredients, you’ll find a lot to love in Sri Lanka's food. Chefs here serve up flavors that would be impossible to replicate exactly in North America. That doesn’t mean you shouldn’t give it your best shot though! 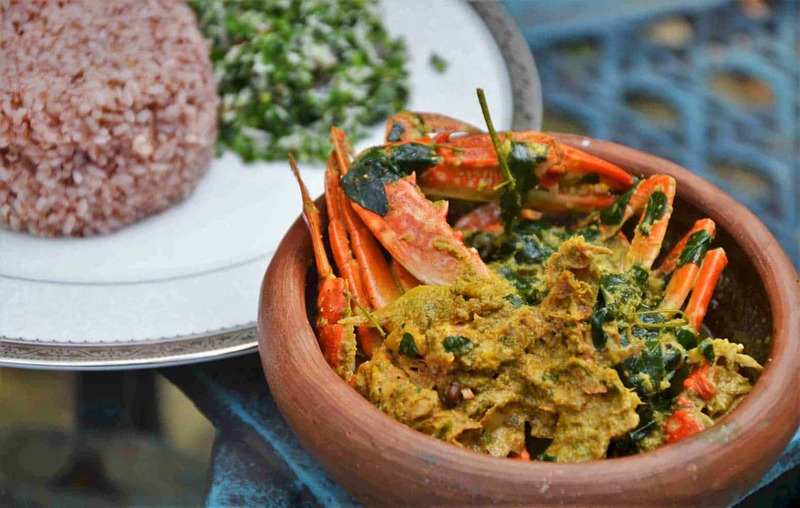 Jumping on a Sri Lanka yoga retreat adventure with The Travel Yogi means you'll be hitting the kitchen of a local restaurant with the chef and owner for a hands-on how-to of the uniquely Sri Lankan dish Pol Sambol. This richly flavorful dish made of coconut, chili and lime is a local specialty and a piece of Sri Lanka you can take home. Join us for 12 unforgettable days in one unforgettable country and experience, taste and explore all of the above and much much more. For a blend of temple-climbing, delicacy eating, golden sand surfing, wellness and nature absorbing adventure, a Sri Lanka yoga retreat adventure is hard to beat.